Clean, readable data makes Excel much easier to use. 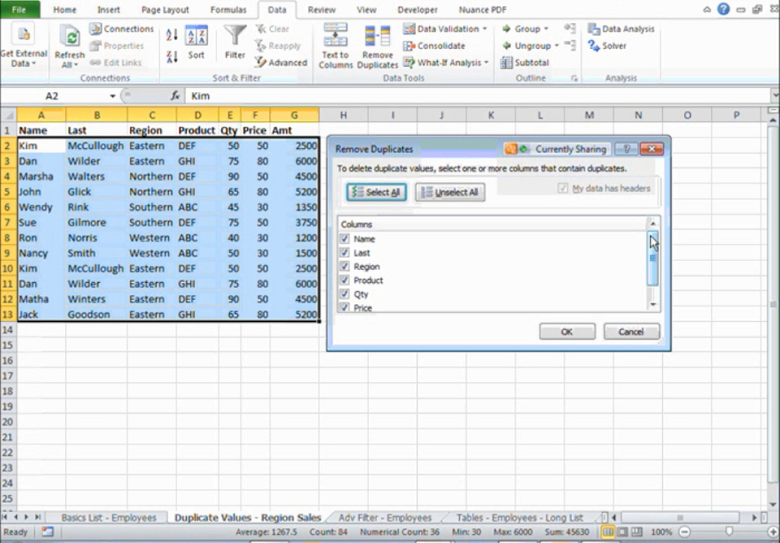 A common struggle is how to remove duplicates in Excel. Having too many duplicates causes inaccuracies in reporting and analyzing data. But scrolling through your data to hunt and peck duplicates is tedious and time-consuming – especially when you have hundreds of rows of data. Even using the Find function (keyboard shortcut: Ctrl+F) can take forever. But Excel provides built-in tools to help you with this. In this live, online event, our Excel expert instructor will cover the key Excel skills you need for workplace success. Like Learn Excel Now? Sign up for our weekly tips, announcements and offers! Getting social with Excel – don’t forget to follow us on social media and share our content with your networks!